The contemporary look of this Ren-Wil Patchwork area rug adds style to any room. This indoor piece is made from plush wool material, which is high quality and high fashion. This product is hand-made, which assures quality. Bring this geometric patterned grey rug into your living spaces for a contemporary design aesthetic. 5 ft. 2 in. X 7 ft. 6 in. Include this Ecarpetgallery Chroma area rug in your hallway, dining room, or living room dicor for a taste of modern style. This item is a great way to add comfort into your interior design. Durability is key with this area rug. Modern homes will love the pattern on this product. This Ecarpetgallery Shahrzad Kerman area rug is a great high-quality option for livening up your home. This material of this piece is the epitome of contemporary comfort. Endure the wear and tear of furniture and foot traffic with this rug. Modern style meets durable design with this product. 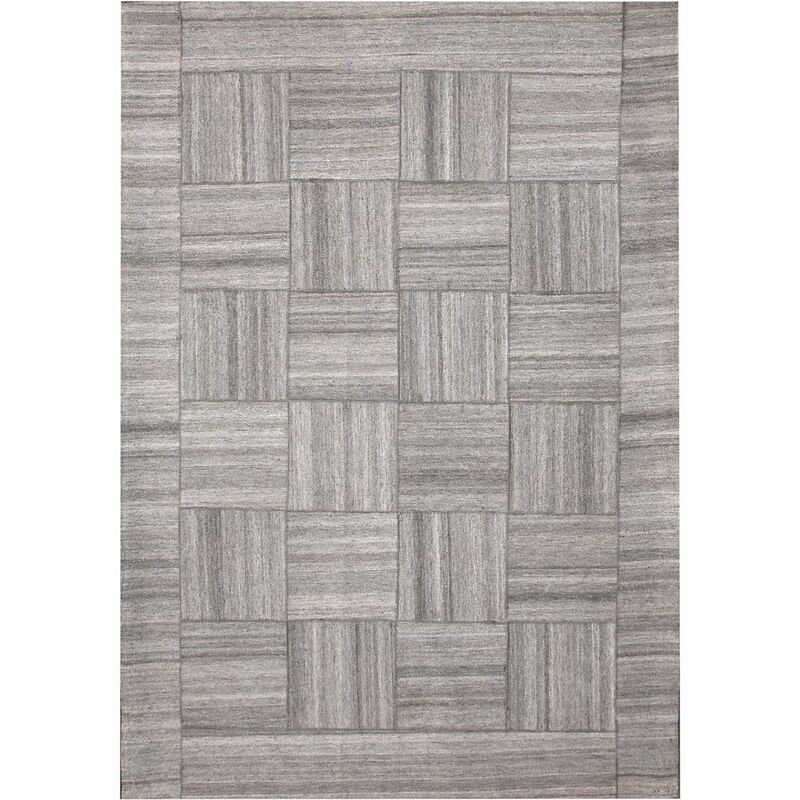 Patchwork Grey 5 ft. 2-inch x 7 ft. 6-inch Indoor Traditional Rectangular Area Rug The contemporary look of this Ren-Wil Patchwork area rug adds style to any room. This indoor piece is made from plush wool material, which is high quality and high fashion. This product is hand-made, which assures quality. Bring this geometric patterned grey rug into your living spaces for a contemporary design aesthetic.